The spiritual retreat brought together President Salva Kiir and opposition head Riek Machar. Also present were Kiir's three vice presidents. 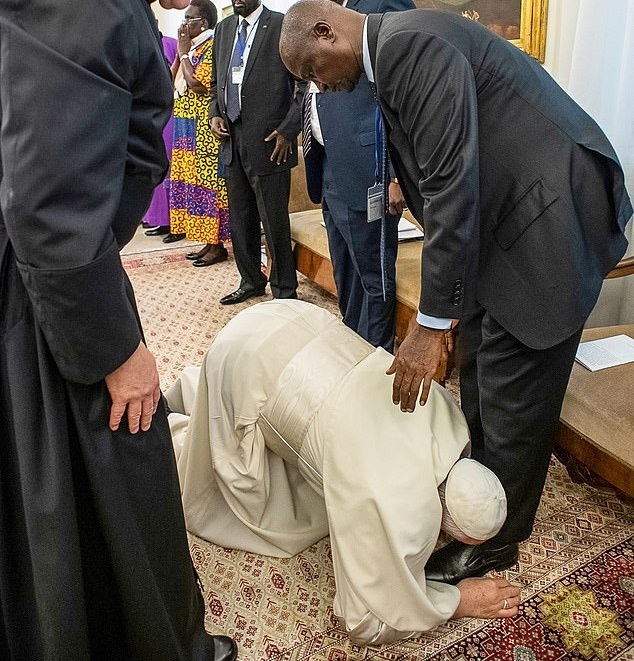 The pope kissed the feet of all of them. 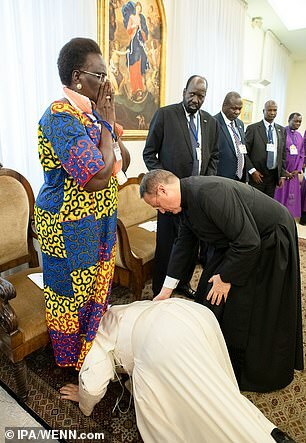 South Sudanese Vice President Rebecca Nyandeng Garang said Francis' actions moved her profoundly. 'I had never seen anything like that. Tears were flowing from my eyes,' she said. 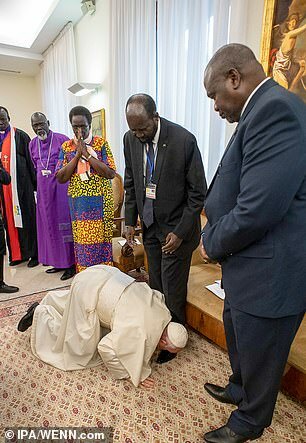 South Sudan, gained independence from Sudan in 2011 and in 2013, the country plunged into a bloody civil war, which left at least 400,000 people dead. 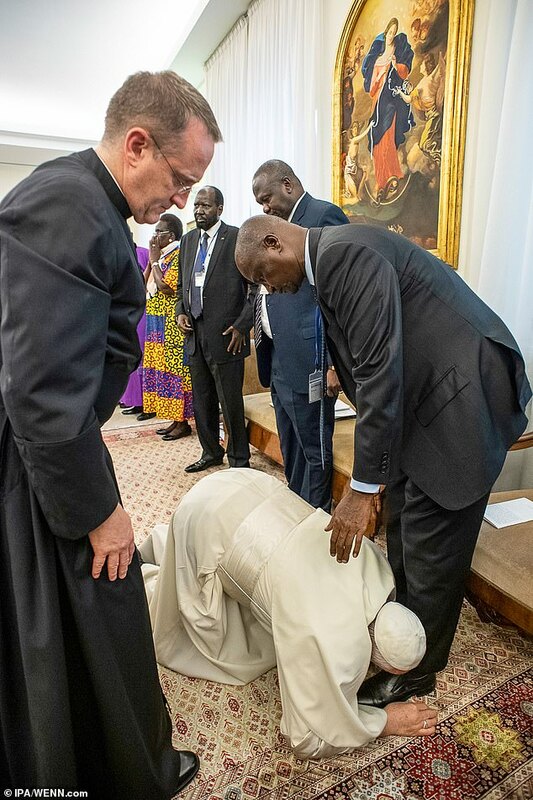 The two-day Vatican meeting was held a month before the end of the shaky peace deal's pre-transition period. On May 12, opposition leader Machar is expected to return to South Sudan and once again serve as Kiir's deputy. 'Sudan has helped us with the peace deal. 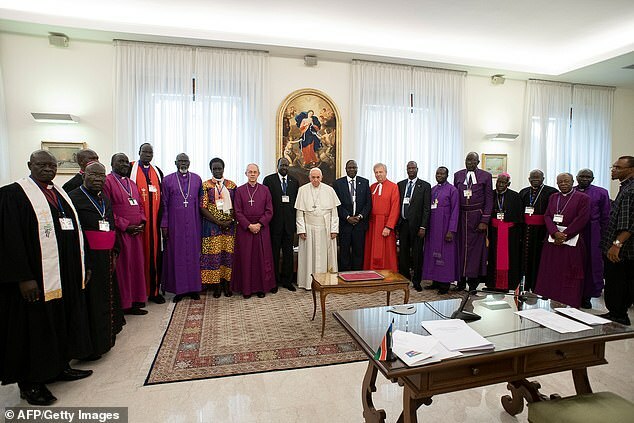 We hope that the new system will also focus on the agreement, ensuring that it will be implemented,' said opposition leader Machar, who attended an evening prayer vigil for peace, held at Rome's church of Santa Maria in Trastevere.